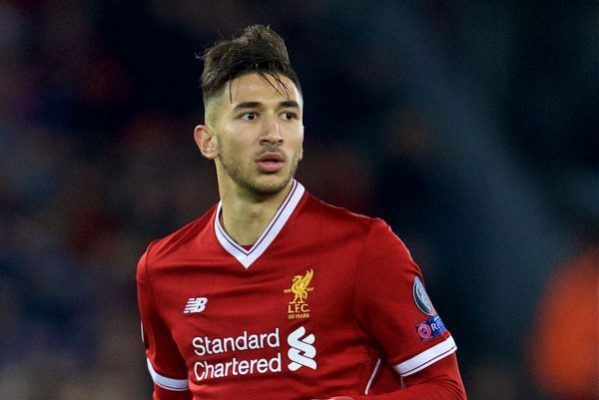 The Reds recently extended Marko Grujic’s contract to 2023-24 season, but Klopp might regret that decision in the long run. The young midfielder is a joy to watch and one for the future but his recent injury crisis is saying otherwise. Grujic is presently on loan to Bundesliga side Hertha Berlin and he’s been doing wonders for the team but his recurring injury problems are having a huge negative impact on his development. Some weeks after returning from a knee injury which ruled him out of action for a month, the 22-year-old has picked up another injury and he is expected to spend nothing less than three weeks in the recuperating room. While confirming his injury, the German side via their official website revealed that the Serbian star was injured after a challenge from his teammate during one of their training sessions. They specifically revealed that Grujic injured some ligaments in his left ankle and won’t return until after winter break. This would come as bad news for Liverpool manager Jurgen Klopp who is counting on the youngster as the future of the club. A young player with a record of frequent injuries often ends up being unable to reach their maximum potentials. This is why Klopp and his employers would be very keen on Grujic’s recovery process so as to help the youngster avoid recurring injuries. Should he continue to get injured more frequently, the Reds could be forced to terminate his contract in no time as the player won’t be able to perform up to expectations. The Merseyside club have learned from Daniel Sturridge’s situation and wouldn’t want to repeat the same thing with the Serbian youngster. The England international was one of the best strikers in Premier League during 2013-14 season. He scored goals from time to time and also formed a deadly partnership with Luis Suarez during the Uruguayan’s short term spell at Anfield. However, constant injury problems stopped his blistering and electrifying form for the Reds. The unwanted injury concerns ultimately halted his dream of becoming the best striker in England’s national team. He lost his wonderful form and was eventually sent on loan to West Brom last season as he didn’t possess qualities that were needed by Jurgen Klopp. Grujic is back at Anfield for treatment and rehabilitation process, however, he is set to return back to full fitness before the end of Bundesliga’s winter break in January.